The Egyptian Tortoise is an endangered species of a neck-hiding tortoise which is also commonly known as Leith’s tortoise. They have been given a scientific name which is Testudo Kleinmanni, which explains the fact that they may also be called as Kleinmann’s tortoise. These tortoises are most commonly found in Egypt and Libya, but they are on a fast track to extinction. They were once a widespread species, but they have become nearly extinct in Egypt and can only be found in only a few regions of Libya. This extinction is definitely a growing threat to the wild and serious action needs to be taken if they are going to be saved from extinction. They belong to the tortoise family making them a reptile of the family, Testudinidae. 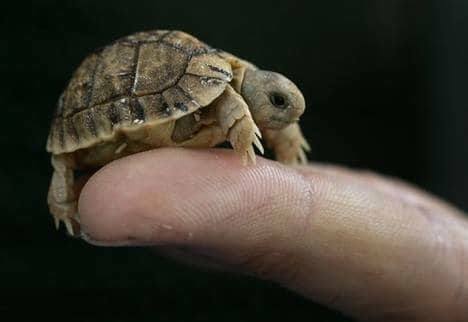 The Egyptian tortoise is considered the smallest tortoise species in the world. The female tortoise is larger in size than the male tortoise while the male tortoise is willowy and come with a long tail. The Egyptian tortoise comes in a variety of beautiful colors including pale yellow, yellowish-brown colors that help them to absorb less sunlight and to make them more land-dwelling. The pale colors help them to camouflage themselves from predators as they can hide in sand or between rocks, which is usually their natural habitat. Their diet includes different kinds of vegetation, fruits, and grass. The leafy greens included in their diet are clovers, leafy salads, carrots, parsnips, etc. Since the species live in the wild, they occasionally eat small insects as well. But, it is very important to provide them with an herbivorous diet. Their natural habitat may include plants like saltwort and sea lavender. Mazuri tortoise feed is one of the best nutritious tortoise feed found online with high fiber to provide the reptile with calcium and healthy vitamins. It’s recommended to provide a high fiber diet and mixed greens almost four times weekly. The Kleinmanni Tortoise usually lives in the desserts or places where the climate is semi-arid. They try to avoid very hot and very cold weather, as for them moderate temperature is most suitable. When the weather is very cold, they are active during the midday, and when the weather gets very hot, they are active either in the early morning or during the evening time. The rest of the time, they may be found resting under bushes or shrubby areas. Their other habitats include gravel plains, scattered rocks, dry woodlands, etc. If an explorer wishes to find them at the Mediterranean coastal strip, then coastal salt marshes are the best place to search for them. When the Egyptian tortoise is not active due to changing weather, they sometimes utilize the rodent burrows as their resting place and do not build their own burrows. Due to this, they might become prey to desert monitor lizards and birds like ravens which are its natural predators. As time went by, different buildings, structures were constructed, destroying the natural habitat of the reptiles, and the treeless areas have provided nesting opportunities to ravens. Sometimes, farmer dogs mistakenly eat the small tortoise, and rats eat their eggs and their hatchlings. This reptile is considered and known as “critically endangered species” which has been recognized by International Union for Conservation of Nature (IUCN). They are very small in size, about 10cm in length when they reach maturity that makes them irresistibly cute and adorable pet animals. They are also known to be relatively inexpensive, and many people can afford to buy them easily. Thousands of Egyptian tortoise are captured and smuggled all around the world each year that is a major reason for their near extinction. Although many laws have been passed in, order to stop the capturing and killing of endangered animals but they are not taken into consideration. The Kleinmann’s tortoise becomes sexually active when they reach the age of five years and their breeding size is at 3 inches for males and 4 inches for females. The male tortoise mostly chases after the female and may make a mating call that is similar to a mourning dove. The breeding season usually starts in the spring, around the month of April and continues until the month of September. Nesting starts around the month of July and continues until the month of December, but this cycle can obviously change depending on the weather conditions. Females can nest up to seven or more times a year and lay between 1-5 eggs. The eggs are stored under bushes or burrows, which hatch in the summer or early autumn. 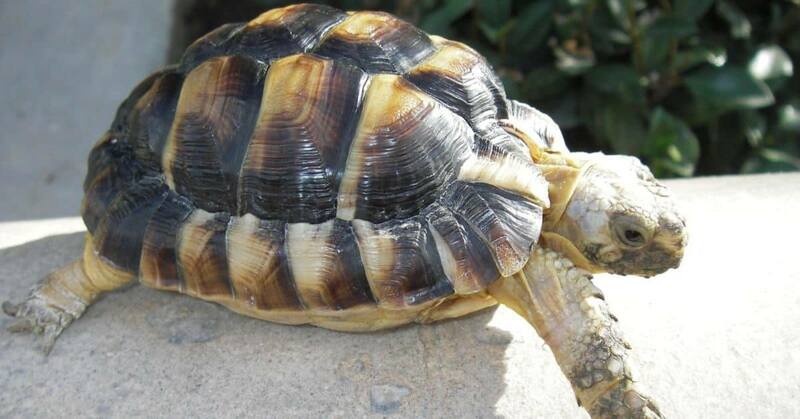 The Egyptian tortoise is small, super cute reptile to keep as a pet. If you are fond of these reptiles, then this is one of the most amazing species of reptiles to keep as your pet for all the reasons we’ve mentioned.